Yarmouth Recreation is pleased to offer high quality youth programming for all ages and abilities. We aim to provide appropriate recreational day camps, canoe/kayaking and physical literacy programs to fit your child’s developmental needs. All programs are inclusive to all individuals and provide children and youth a variety of skill development, creative outlets and unstructured play opportunities. Yarmouth Recreation believes every child should have a chance to participate to their full ability in all our summer programs. Count Me In Inclusion Services will be available for any individual requiring program support from minor adaptations to some one-on-one support. Please contact us if you feel your child may benefit from these services. We will start taking registration at 7:30 am on June 6th, 2018. We will accept completed registration forms and daily schedules both online and in person at that time. All requests will be time-stamped and processed in the order received. No payment will be accepted at this time but we will call by June 14th with your successful registration and amount due. If you have any questions about any summer programs, please call Misty at 902-742-8868. Special Summer Events will continue to be listed on our website throughout the summer. Summer Fun Day Camp is a recreational day camp for 4*-8 year-olds featuring fun activities in themed weeks. Expect to unleash your inner scientist, explore the world, be a zookeeper and discover your superpower! Our experienced, trained staff will provide fun games, crafts, special events and day trips for your child. Check out our Weekly Calendar and plan your summer with us today! 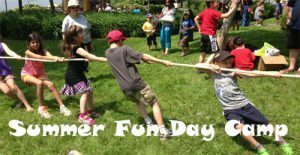 Summer Fun Day Camp operates mainly out of Meadowfields School or the Hebron Recreation Complex. 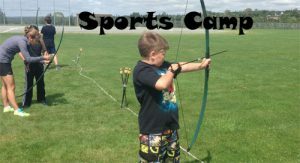 Sports Camp is an active fun day camp program for 9-12 year olds. Participants will try out a ton of different sports and activities. There is something for everyone – discover your passion! Our energetic skilled staff will lead your child in a variety of sports, games, special events and out trips. Special guests and community experts will share their sport or activity with you. Check out our Weekly Calendar and discover what makes you move! Sport Camp operates mainly out of Maple Grove Education Centre. Join Yarmouth Recreation at Yarmouth South Playground for its supervised adventure playground program. This program is a free drop-in recreational day camp style program which operates Monday to Friday from 9am to 5pm. Our friendly experienced staff will provide a fun and safe environment for your child to spend a few hours or the whole day! You can check out the weekly calendars and plan your summer at the playground! Yarmouth Recreation offers canoe and kayak instruction for youth. This is a great introduction to a sport that you can enjoy the rest of your life. Learn how to be safe on the water while having fun with games, trip planning and adventure! Check out our weekly schedules and plan your paddling adventure! Are you between the ages of 12-16 and want to work with kids? Yarmouth Recreation’s junior leadership program provides leadership skills sought after by day camps and residential camps and provides lots of opportunities to volunteer with all our summer programs. Sign up for as many two-week sessions as you wish and learn a variety of skills needed to work with children. Check out our activities for July and August! This is a very sought after program so register early! YOALP will operate mainly out of the Hebron Recreation Complex. 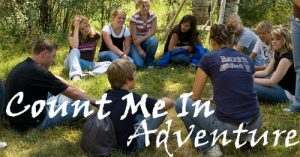 Count Me In will be focused on supporting physical literacy and social skills within all our summer programming for youth with a variety of cognitive and/or developmental disabilities. All children and youth, no matter what their ability, need to work on and acquire physical literacy through fun and games to be able to gain the movements needed to play and enjoy sports. All Yarmouth Recreation staff are trained to better meet individual needs. Contact us for an appointment and register for any programs your child is interested in and we will meet with you to ensure they receive any needed supports to participate and have fun all summer!